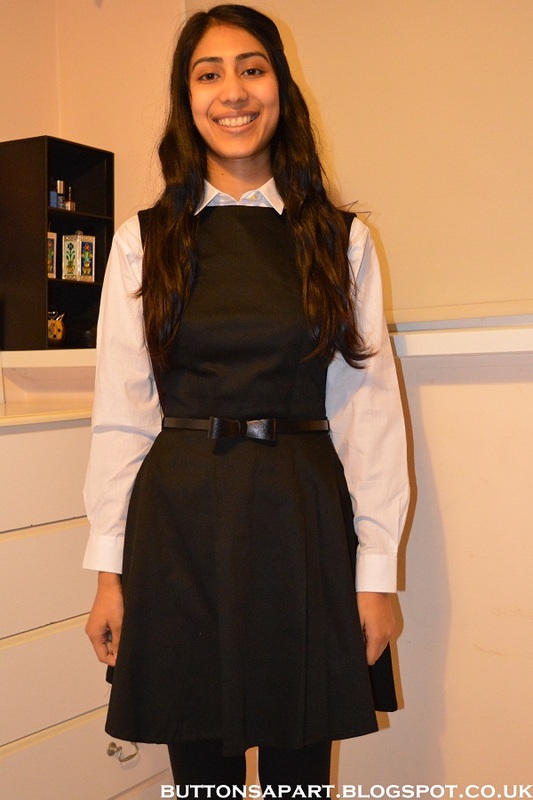 Can you believe it has been 10 years since I left Secondary (High) School?! Because I can't!!! I know I sound cliché but time has just flown by and have no idea where it's gone. Anyway I had a bit of a get together with some old school friends and someone thought it was a good idea to dress up as school girls to mark the occasion. 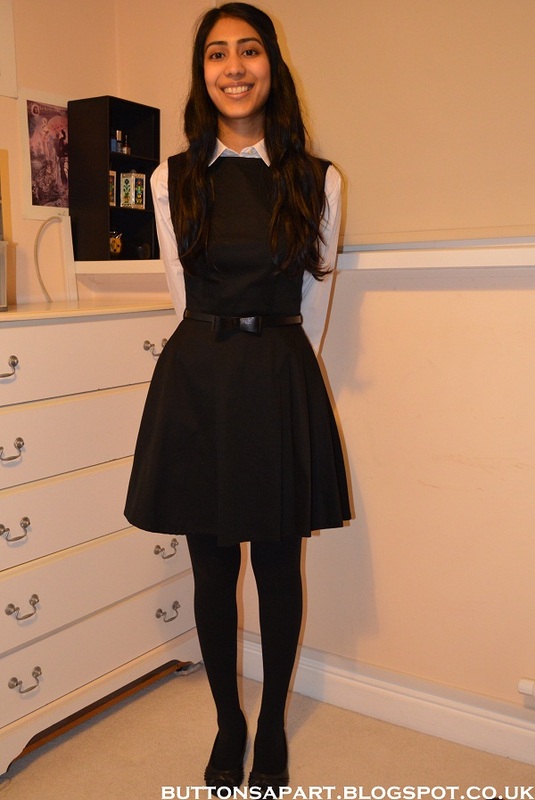 Not my brightest moment but I thought I would share a few snaps of what I wore with you anyway. My advice to anyone still in school is make the most of the experience and make sure you enjoy it! I really miss hanging out with friends, being carefree and the long summer holidays! 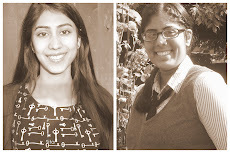 What do you miss the most from your school days? 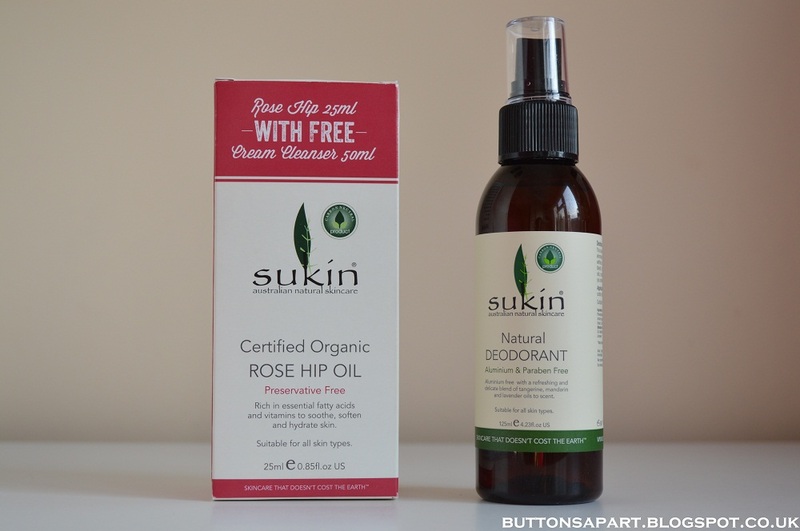 In this post I shall be reviewing the Sukin Natural Deodorant. I bought this product at the Bristol VegFest and have been using it for just under a month now. This aluminium free and paraben free deodorant eliminates the bacteria that causes odour without using harsh ingredients. A delicate blend of tangerine, mandarin and lavender oils, combined with vanilla extract will leave you smelling and feeling fresh and clean. 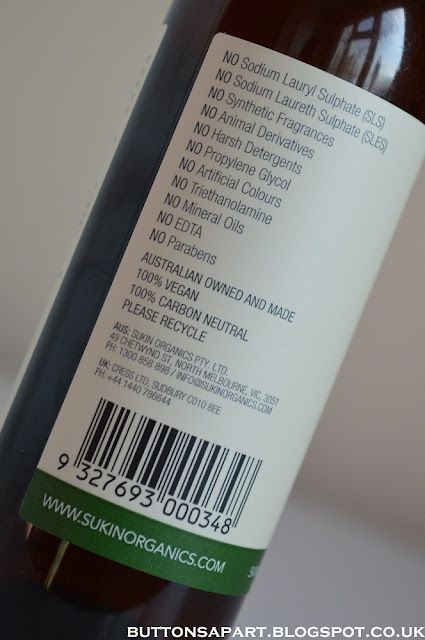 Deodorant was the one thing that I was rather apprehensive about when making the transition to cruelty-free, vegan and natural cosmetics.The Sukin Natural Deodorant has quickly dismissed my concerns. I've never said this about a deodorant before but this deodorant smells just gorgeous. 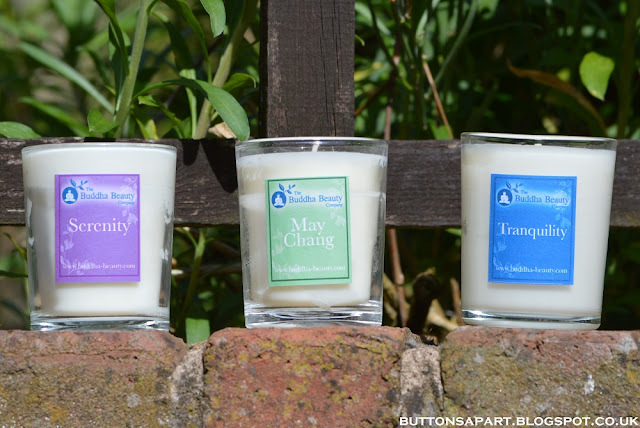 The blend blend of tangerine, mandarin, vanilla and lavender is so fresh, without being overpowering. Furthermore it keeps me odour free. On a cold day I can get away with just one application in the morning, on a warmer day I do need to reapply at least once if not twice dependent on my activities. At first I wasn't sure how much to apply, so going with the logical more is better approach sprayed about ten sprays only to find that the liquid was rolling down my underarms. So just a heads up a few sprays is enough! After application you do need to wait for a few minutes for the product to dry and absorb into your skin, as initially it can feel a bit sticky. 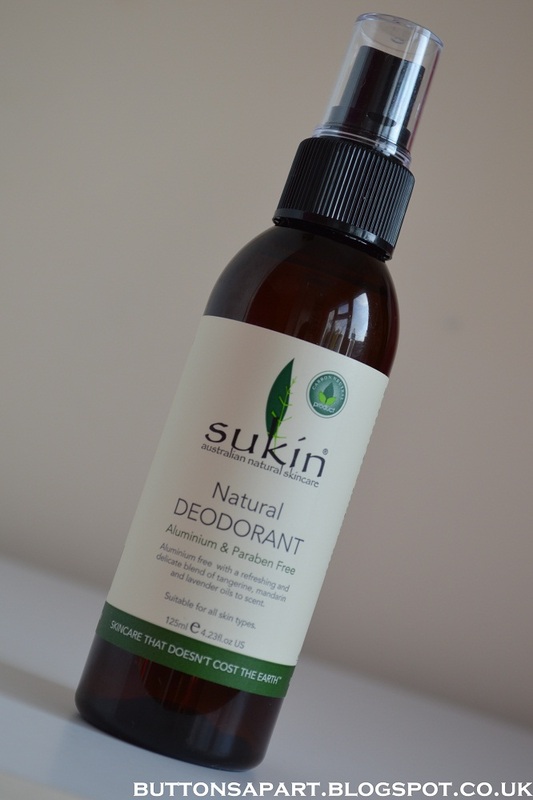 I had no issues with the Sukin natural deodorant transferring onto my clothes..No white marks! The deodorant does not irritate my skin at all, even after shaving. 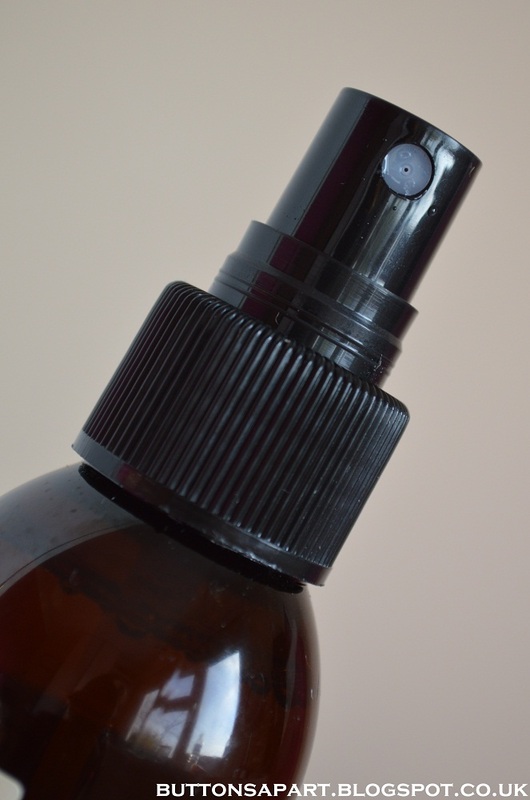 As a side note this product does contain essential oils which can irritate or cause a reaction on some people, so I would avoid this product if this happens to you. Another precaution is if you are pregnant then some essential oils are best avoided so seek advice on this before using this product. It has to be said, the price is rather on the high side. For someone that usually pay's £1.50 for a deodorant you can see how £8.12 can be considered a bit steep! I did input all the info for this deodorant into the EWG skin deep report builder, and the product scores a 4. This is a moderate hazard rating. I'm personally okay with this as compared to my previous toxin filled deodorant this is much better. Although just out of curiosity I would like to try out other products and see what's out there...who knows I may find something better! 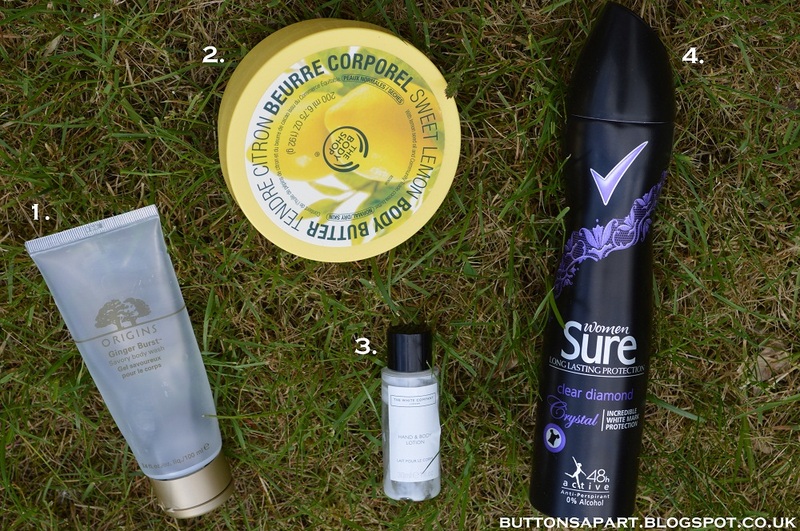 If not then I will definitely repurchase the Sukin Natural Deodorant. I like that this deodorant comes in a spray bottle because I do prefer spray deodorants to roll ons. Have you tried the Sukin Natural Deodorant? What are your thoughts? I initially really liked this shower gel. 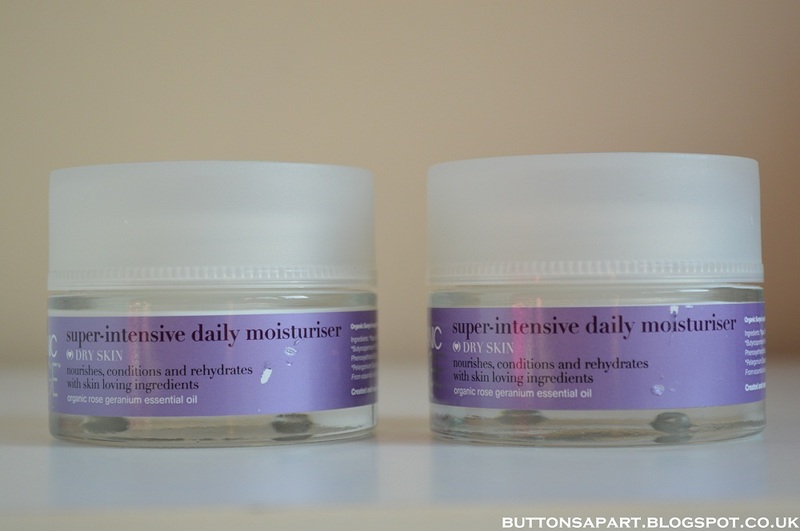 The scent is nice especially for winter and it is thick, creamy and moisturising. However at £18 for 200ml it is rather on the expensive, and there are plenty of cheaper alternatives that do the same job. I do love The Body Shop Body Butters however I'm not a fan of this particular one as I find the scent to overpowering. 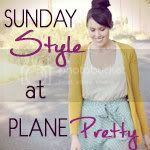 I have a full review over here. This was a lotion I picked up from a hotel stay, it was an okay lotion, nothing special. This deodorant works really well for me and I have purchased it time and time again. However this will be the last bottle as it is not cruelty-free and full of aluminium and other chemicals. 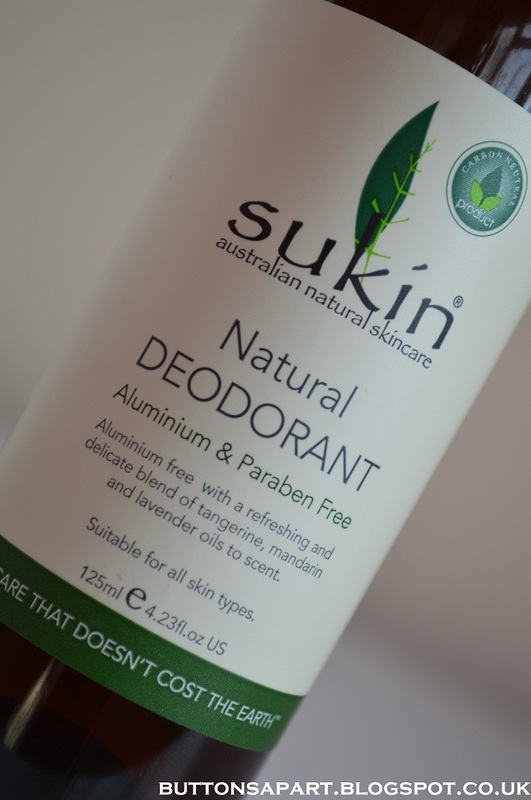 I'm actually using the Sukin Natural Deodorant instead and a review on that will be coming up shortly. This deodorant on the other hand I do not like at all. I've been working to use it up for ages now and I'm so glad to have finally finished it! You can read my full review here. 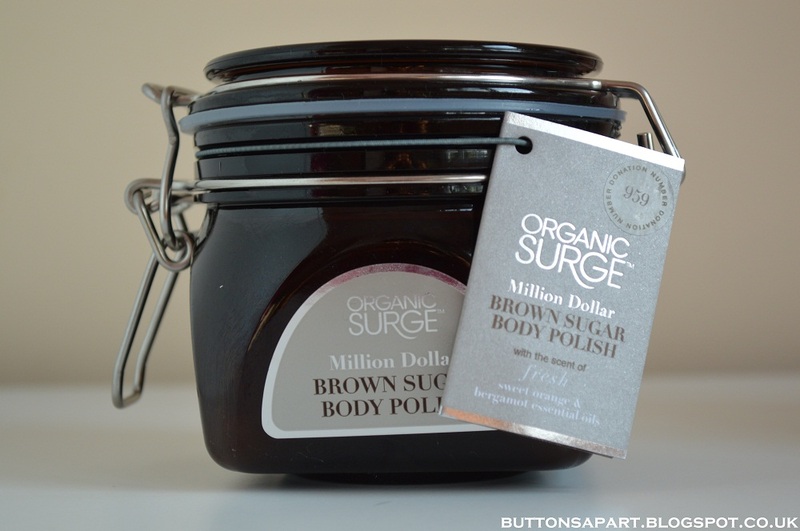 This is a lovely body scrub, it is exfoliates well and is also very moisturising. After I use it my skin is left feeling so soft and smooth. I could ramble on about hoe good it is for ages but you can read my full review here if your interested. I need to find a natural alternative which is just as good. 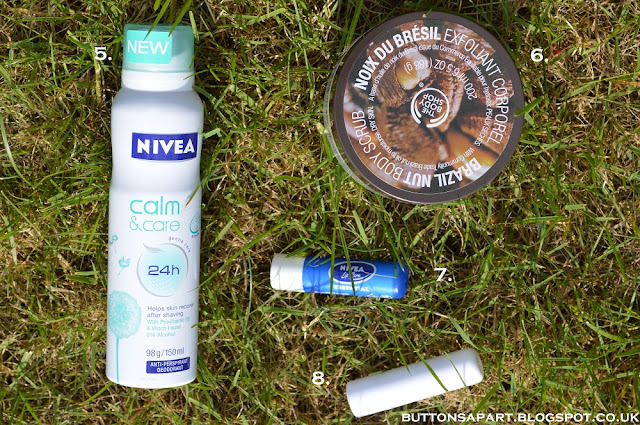 This lap balm was nice, it was moisturising and I like the packaging. I really don't like lip balms in tubs, and having to dip my finger into it. I didn't particularly like this lip balm, it was okay but it was a bit hard and I'm glad it is finished up. 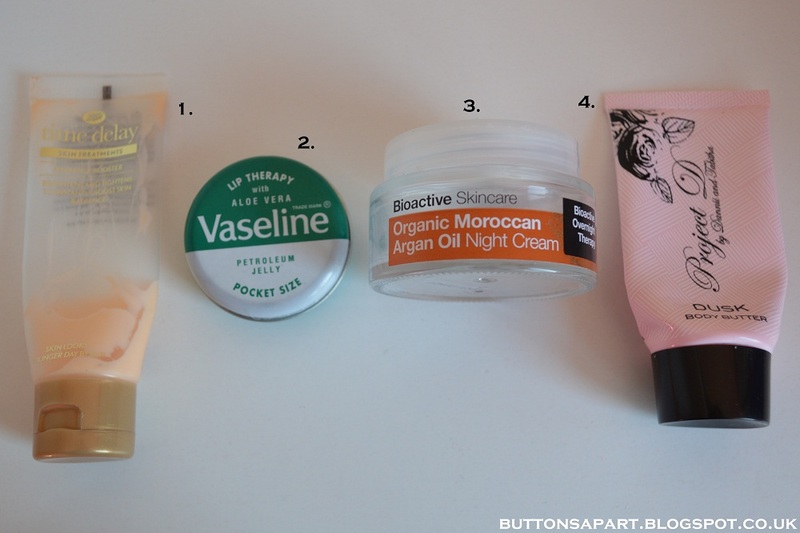 On this occasion the skincare total has actually increased because we have made a few purchases. 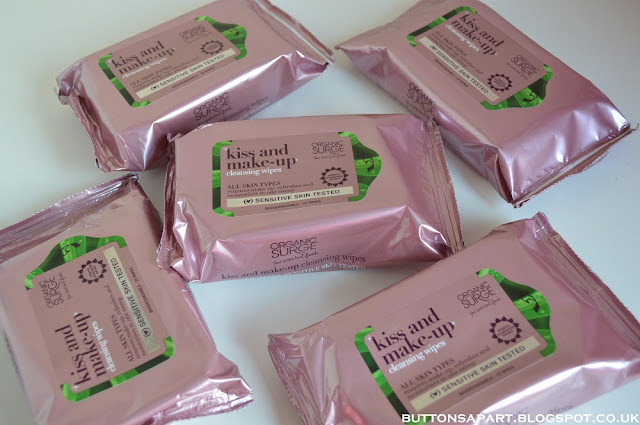 (eleven items added to the total from our organic surge haul) However all the new products that we have bought are all cruelty-free, veggie and natural. 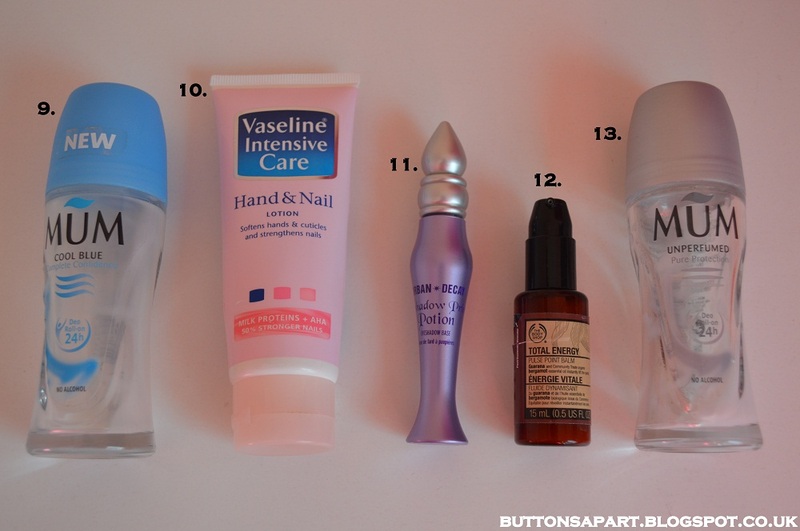 This time we didn't use up any makeup items. On a positive note it has been a month since we started this transition and we have bought no new make-up products in that time. We shall not be buying any new makeup until we have gone through our existing products. Although it seems like it's going to take a lifetime to finish all the products we have! Sometimes we just feel like chucking everything out and starting again. 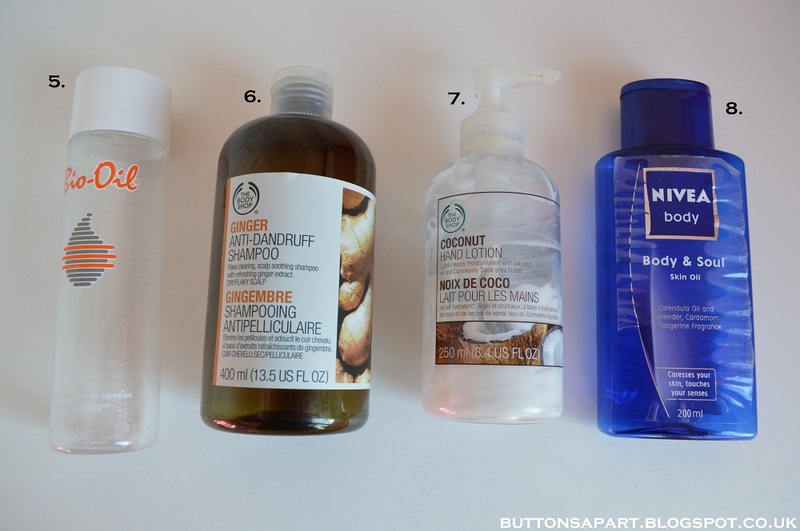 Have you made the transition to go cruelty-free, veggie, natural or all three like we are doing? Any words of wisdom? Get fresher, smoother and softer skin with fig powder, pumice, peppermint oil. lemonade tree liquid, orange waterjuice™ and vitaminballs™ (A,C,E). Scented with our new Fruitigo™ fragrance. I'm just going to be honest and come out and say I really don't like the Soap & Glory Pulp Friction Foamy Fruity Scrub. The reasons being I don't like the foamy texture. If you like an exfoliator that foams up then this may be the product for you but for me I prefer a scrub to be a scrub and I don't need it to foam up. In terms of the ex-foliating abilities pulp friction does an okay job. However I prefer a scrub that's moisturising and leaves that oil residue on your skin, which this one does not do and it's not particularly moisturising either. In addition I'm not a fan of the scent of this product. I do like the original Soap & Glory scent but this scrub has the "fruitigo" fragrance. I find scents hard to describe but to me it smells like figs and yoghurt mixed together, which I don't like. Furthermore the ingredients list of the pulp friction scrub scares me! There are just too many chemical names that I don't understand. 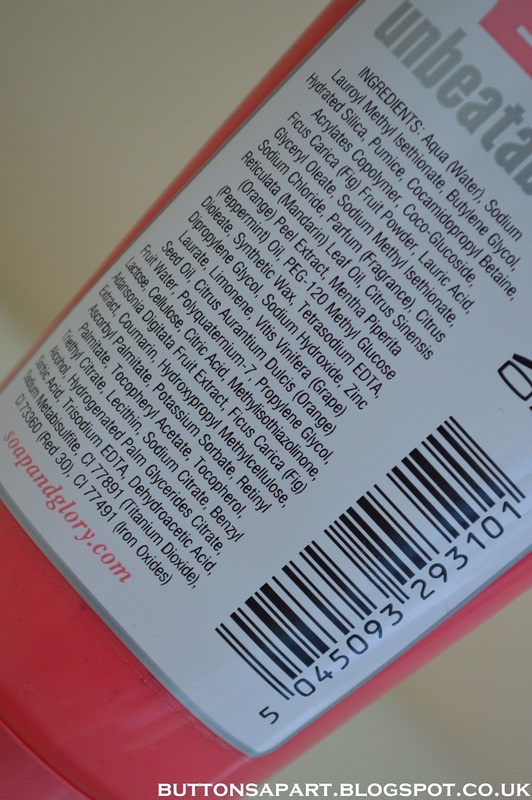 I have been actively paying more attention to the ingredients of the products I'm buying and seeing big ingredients lists filled with chemical names that I don't understand reinforces my decision to move towards natural products. Ingredients aside, the product doesn't work for me and that's not to say it won't work for you, personally I won't be repurchasing. I love Soap & Glory's fun bright pink packaging. I like that the scrub comes in a squeezy tube, so I don't have to dip my hands into the product. The packaging is the only thing I like about this product. 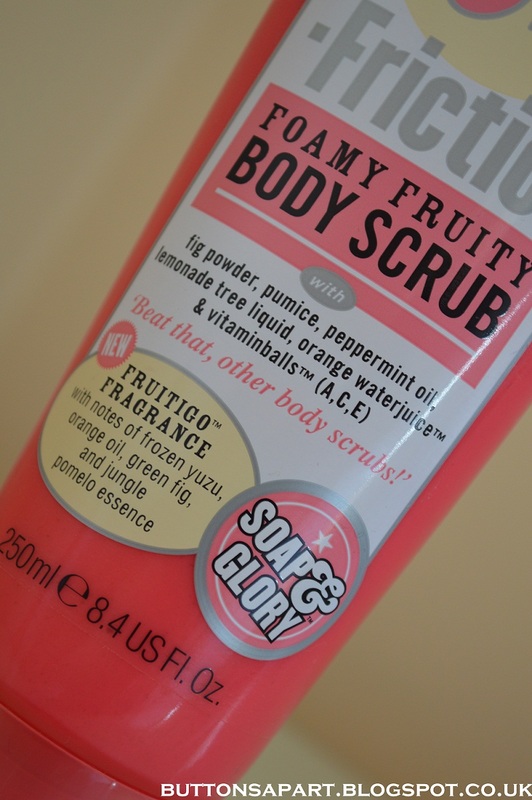 Have you tried the Soap & Glory Pulp Friction Foamy Fruity Body Scrub? What are your thoughts? Today we have a haul post for you from Organic Surge. We saw that they were holding a 75% of sale and we may have gone just a tad overboard. 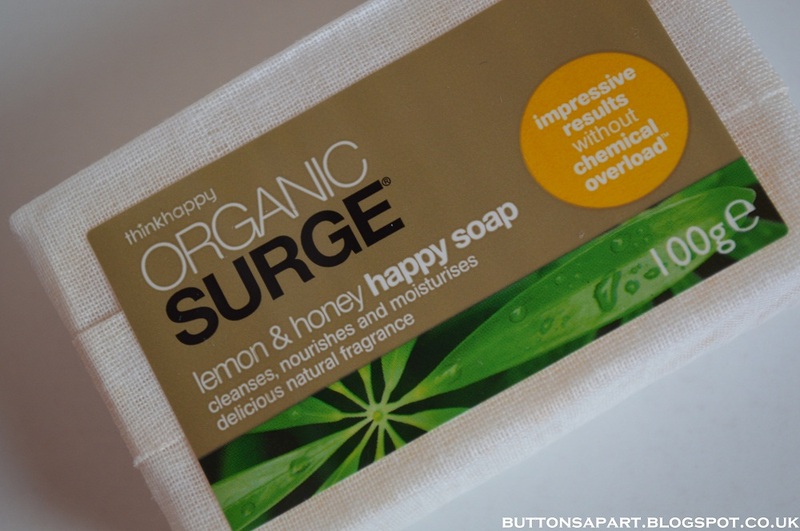 This is the first time we have purchased any products from Organic Surge so we are excited to try out the brand. In terms of delivery, our order took 7 days to arrive (bearing in mind that we did the place the order on a bank holiday). Aside from the Brown Sugar Body Polish which has completely melted and had leaked slightly the rest of the order was intact. They are wrapped it up in its own plastic bag and then bubble wrap so the leakage was thankfully contained. We decided to stock up on the cleansing wipes whilst they were on offer, but annoyingly the expiry date is July! So that plan backfired! All of the products that we purchased are free from animal derived ingredients and suitable for vegetarians and vegans. Have you tried any of these products or any other products from Organic Surge? What are your thoughts? 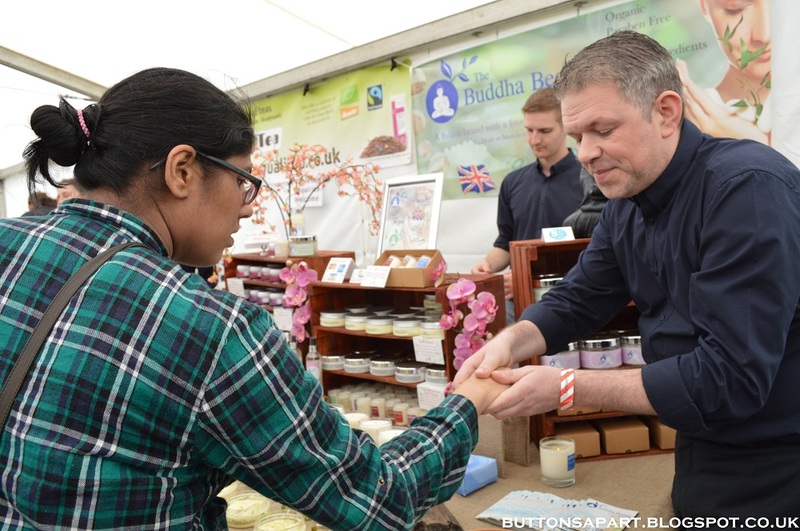 One of the brands we discovered at the Bristol Vegfest was The Buddha Beauty Company. Described by themselves as a British Brand with a love of the Far East. The company is approved by the BUAV and the Vegan Society. 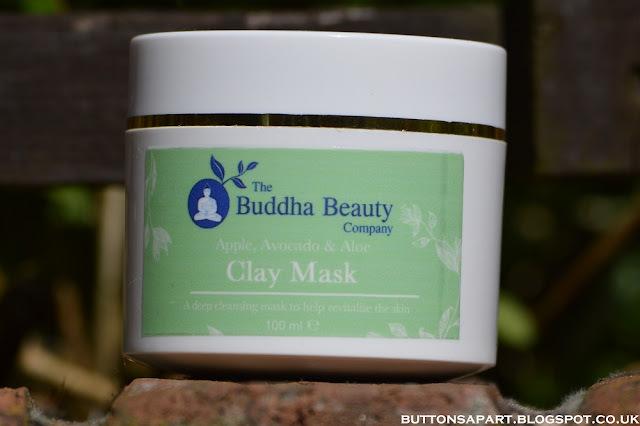 We were on the hunt for a new face mask and this Apple, Avacado & Aloe Clay Mask smelt absolutely delicious, just like fresh apples, and claimed to leave our skin glowing, so we couldn't leave without it. 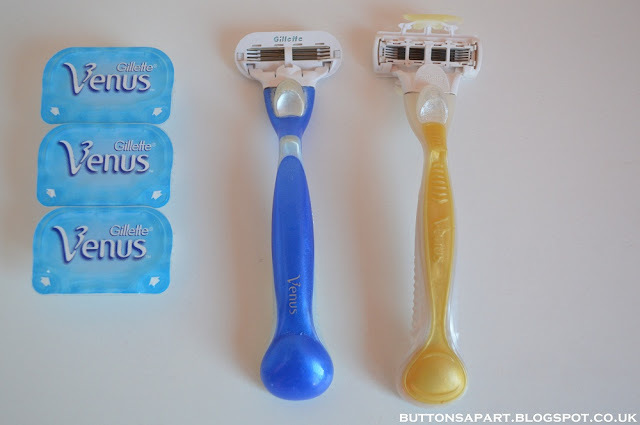 We're super-excited to try out our new products! 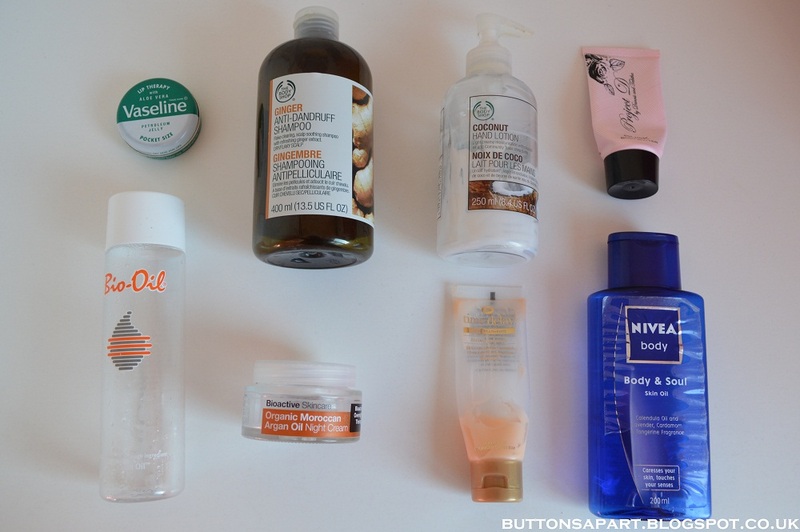 A girl's spa night in already planned! As always we will review the products in full once we've had a chance to get our teeth into them. Have you tried any products from the Buddha Beauty Company? What are your thoughts? 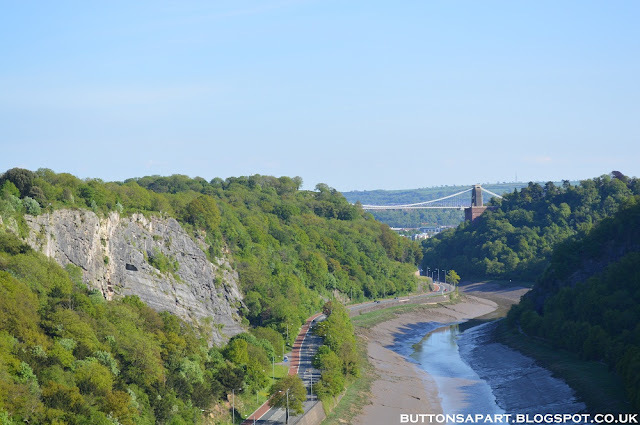 If you missed the pictures from our day at the Bristol Vegfest you can click here. One of the stalls that we were attracted to at the Bristol Vegfest was Sukin, an Australian Natural Skincare Brand. 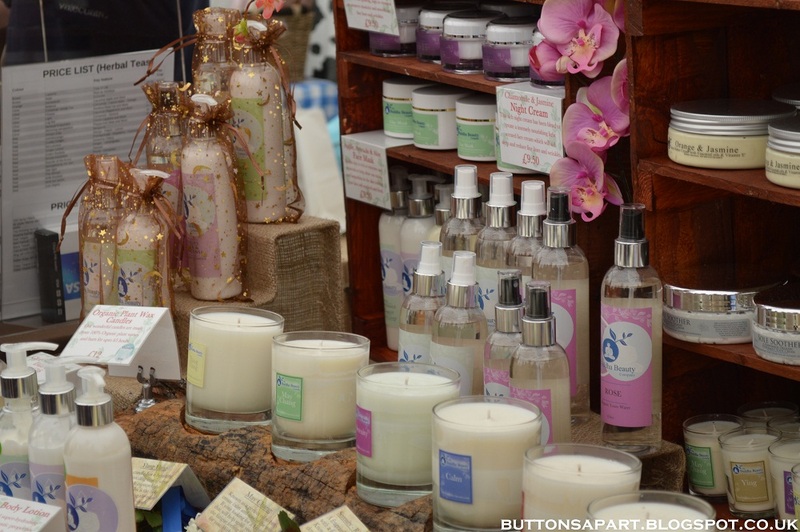 What appealed to us about the brand was that all products are free from Sodium Lauryl Sulphate (SLS), Sodium Laureth Sulphate (SLES), synthetic fragrances, animal derivatives, harsh detergents, propylene glycol, artificial colours, triethanolamine, mineral oils, EDTA, or parabens. Furthermore all Sukin products are Vegan and not tested on animals. 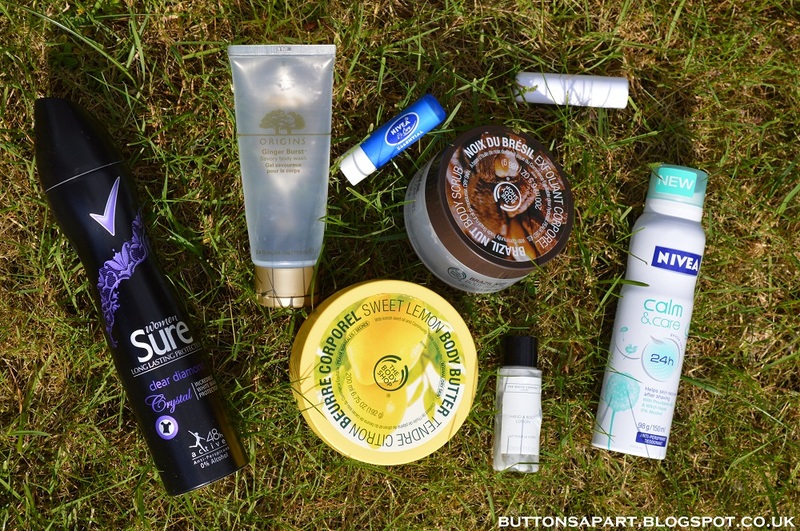 The brand has been accredited by the Choose Cruelty Free (CCF) Program. 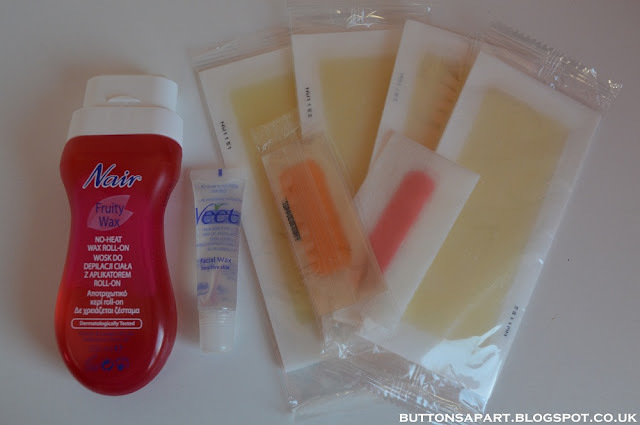 Super excited to try out these products! Full reviews to come once we've had a chance to really dig into them. In the UK you can buy Sukin products from Cress. 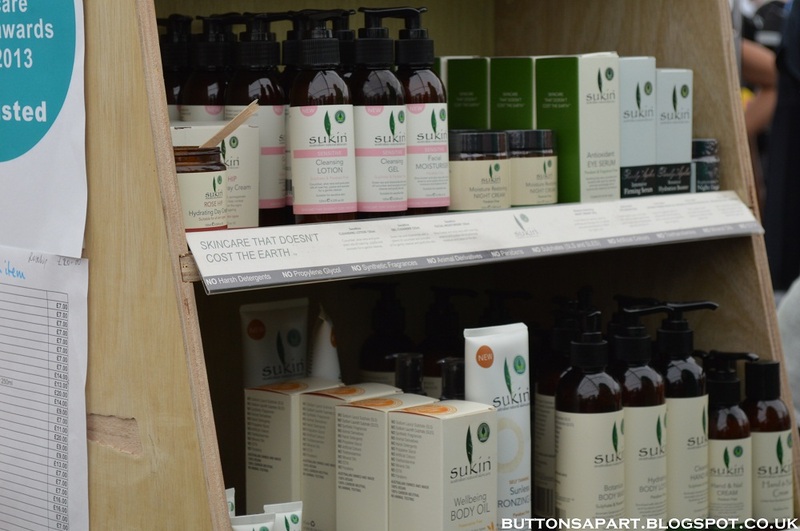 Have you tried any of these products or any other products from Sukin? What were your thoughts?